when trying to click on ADD PHOTO it does not do anything. I tried another browser and it's fine. so it's a browser bug. was wondering if there's a way to fix it? thank you!! Hi, SueKrueger13. 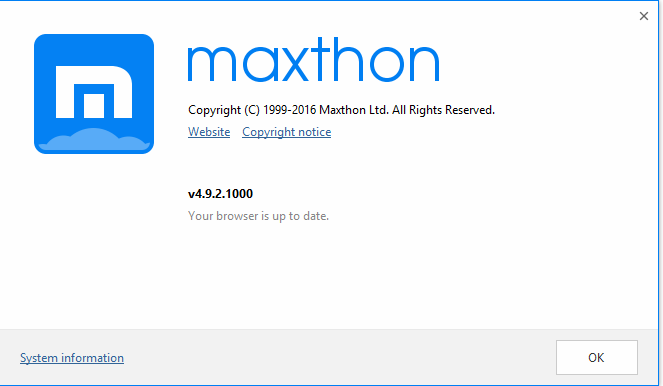 Could you tell me the Maxthon browser version and computer system you are using? Those can help our staff to test this issue. Looking forward to hearing your reply. Hi, SueKrueger13. Could you tell me the Maxthon browser version and computer system you are using? Those can help to our staff to test this issue. Looking forward to hearing your reply. I cannot access the cloud drive section where my uploads are. I will keep reporting anything else I find. May I confirm with you that the latest version is 4.9 or Alpha version? I have actually tried those suggestions on that post, and nothing changed. thought I would add that, in case someone suggests me to try them. I started a post on the same problem, I have V4.9.2 and latest flashplayer, Windows 10 and tried renaming and copying the flashplayer file as directed in another thread and nothing solves the problem. Videos in FB play ok, so I don't think it is a flash player problem, it is just adding photos. I also tried Opera and Microsoft Edge with no problems. videos don't load very well for me actually. I do believe it is a flash problem, however, updating and replacing does absolutely nothing. Odd, it seems no one wants to address this issue. I guess I will go back to Opera. I also can't get answers on how to back up the guest start page favorites. I'm using Chrome at the moment for things like FB and such. used Opera before. I hope they do get their stuff together soon, since I happen to like Maxthon. and I hope they add online history that is more than a few days, since I lost links in the past due to it; pc stopped working, had to get a new one and forgot to bookmark the things on the old pc before it stopped working so I lost those things. Today, I clicked on a FB live feed, I am getting "couldn't load plugin". This is frustrating. I too like Maxthon but these issues continue to crop up and then we don't get any answers from Maxthon on how to fix the problems. If someone would tell me how to back up mu "Guest" Start Page favorites, I would back up all my links and passwords and re-install to see if that clears the problem. With no idea how to back up my Guest Page links and Passwords, I am stuck. Hi SueKrueger 13, I think this problem has been solved now. I test on same version today and didn't meet this situation. 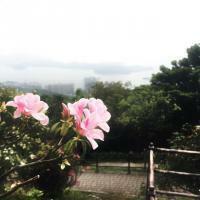 Photos could be uploaded smoothly. So we close this topic temporarily and if you have other question in future, please feel free to open another one again!